The advanced canyon is not only the most exciting section on Clear Creek, but the most scenic as well! This beautiful Canyon provides an amazing backdrop to very steep and exciting class IV rapids. 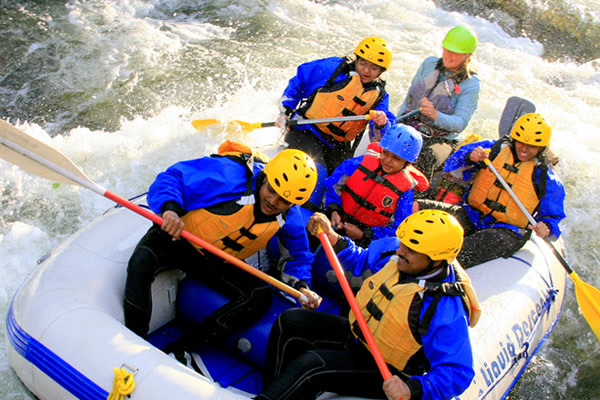 The rapids come very quickly after the put in and are very continuous from there on. Run great class IV's like upper and lower Beaver Falls, Guide Ejector, Double Knife, and Hells Corner. In between the heart pumping rapids dont forget to keep on the lookout for the heard of Big horn sheep that live in the canyon! Hit this trip up in early June for the ride of a lifetime!